Literacy is a fundamental human right. It is essential for social mobility and has become a yardstick by which the international community measures a society’s progress. The latest statistics provided by Iran’s Literacy Movement Organisation (ILMO) are thus troubling to say the least. ILMO released the findings of a nationwide literacy investigation. 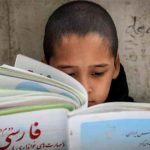 The figures show that almost nine million Iranians are illiterate, with a further 11 million classified as functionally illiterate. These figures put the percentage of the Iranian population without communication and interpretation skills at around 11%. Given that the mullahs have worked to promote Iran as a promoter of literacy in the Middle East, these figures represent a startling revelation. The regions worst hit are rural communities, and remote areas populated by ethnic minorities, with Sistan, Baluchestan, Khuzestan, Western Azerbaijan, and Eastern Azerbaijan among the world affected areas. Ali Bagherzadeh, head of ILMO, offered an explanation for the poor literacy performance among the Iranian population. The Ministry of Education does not dictate that education is mandatory in Iran. In today’s information-dense world, where an individual needs to be able to articulate and communicate effectively to carry out basic civil functions, Iranians without rudimentary education are condemned to a life of poverty. UNESCO estimates that completing 12 years of schooling gives children an 80% chance of escaping poverty later in their lives. Life in rural Iran is not conducive to a child’s education. Many families cannot afford the necessary school fees. Children are also often expected to help the family work and earn a living. Around 53% of school dropouts occur due to the family’s financial difficulties. Between 3 million and 7 million children join the workforce each year to support their family. The recent economic crisis has only exacerbated the growing problem. Beyond financial reasons, bureaucracy and red-tape pose another barrier for rural families. Many remote communities do not have birth certificates, excluding their children from formal education. A lack of educational facilities for children in remote regions is another contributing factor to Iran’s high level of illiteracy. In one village in Khuzestan, an administrative clerk described the plight of the children in the region. “About 50% of boys and almost all girls have no choice but to drop out of school because there are no middle schools here”, they said. The lack of educational facilities disproportionately affects female students. In Hoveyzeh, for example, there are no high schools for girls. Among 40 remote villages in Khuzestan, there are no schools for girls, leading to an exceptionally high level of female illiteracy. Even regions that have access to schools are often forced to manage with very basic facilities. Member of the mullahs’ parliament’s Health Commission, Hossein Ali Shahriari, conceded that around 500 of the schools in Sistan-o Baluchistan Province were little more than sheds or huts made of mud and stones. Between October 2017 and June 2018, 151,046 Iranian girls of schooling age were not enrolled in any form of education. Of the 4.23% of Iran’s students that dropped out of school in the 2017-2018 academic year, 4.17% were girls. The vast majority of students who start the academic year at school and later drop out are female. One reason for this is that in some provinces girls are married off early for financial reasons. The girls are then unable to finish their education. These girls become dependent on their spouses, never completing their schooling and developing the needs to function and flourish in their adult lives. The legal age for marriage in Iran is 13 for girls and 15 for boys. However, it is possible to marry younger, providing the suiter obtains the consent of the parents and the civil court. There have been cases of child brides as young as nine or ten-years-old. Bagherzadeh estimated that around 35% of school dropouts occurred due to “cultural issues”. In some parts of Iran, the education of females is not valued as highly as that of males. The culture means that if the family’s resources only allow for the education of one child, the male child will always be educated before the female. 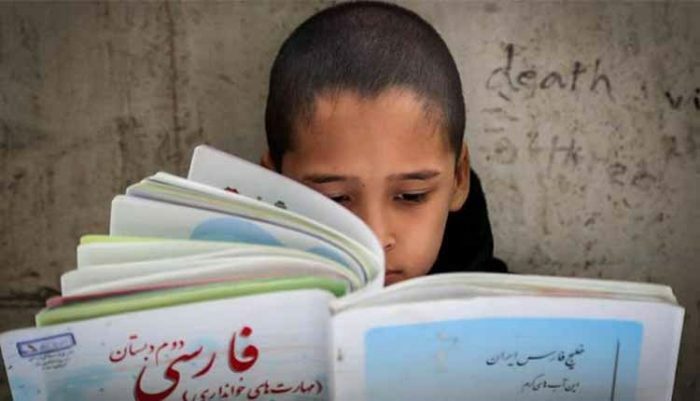 Underinvestment in education doesn’t just harm Iran’s children now; it robs them of a future. It does not equip them with the necessary skills to succeed and improve their economic standing and leaves them behind as the country moves on.